We learn of the latest military sightings through the trenchant journalism of India Today, which says that Indian army troops and gendarmerie units of the Indo-Tibetan Border Police Force (ITBP) have been submitting reports of strange luminous airborne objects since the summer above the Ladakh region. Ladakh is a remote, mostly uninhabited but heavily militarised zone along the border with Tibet and China. It seems that the Indian army has checked carefully and the UFOs in question are not manned or unmanned aircraft: these are routinely sighted in the area but can picked up on radar – unlike the UFOs. Indian army radars have been unable to track the strange shining objects. An unmanned aircraft despatched towards one UFO did sight it, but then “lost sight of the object”. According to India Today, the Indian government – stimulated to curiosity by the frequent reports from the military – despatched a scientific expedition to the region in September. The Indian boffins saw the UFOs but were unable to establish what they were. Scientists say the mysterious objects are not necessarily from outer space. A five-member group of geologists and glaciologists led by Dr Anil Kulkarni of the isro’s Space Applications Centre in Ahmedabad were on a research trip through the barren Samudra Tapu Valley. 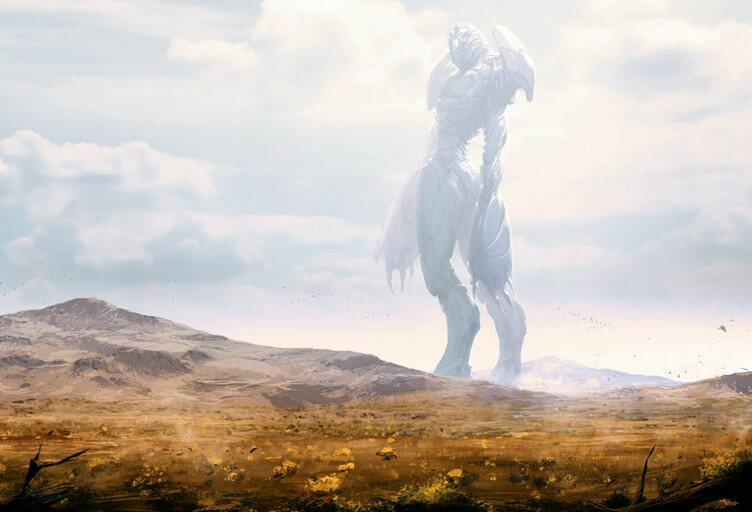 They filmed a four-foot tall ‘robot-like’ figure, that ‘walked’ along the valley, 50 m away from them. The humanoid object then rapidly became airborne and disappeared. The encounter lasted 40 minutes. It was seen by 14 persons including the six scientists.